We had the wonderful opportunity to speak with Bruce Lipton today who’s the author of The Honeymoon Effect. I’ve known about Bruce and his work for many years and in particular loved his presentations on The Hay House Summits. He’s a wonderful man that’s passionate about his work. And why wouldn’t you be when you have life changing information in your hands? We talked about how to reprogram your subconscious mind so that you can begin to live life like you know you should. It’s particularly interesting because Bruce shares the science on a cellular level as to what happens to our bodies when we think and believe certain thought patterns. As a former cellular biologist, he’s able to talk about this from a scientific perspective which I appreciate because it’s doesn’t sound as strange as how some people describe it. I like science what can I say? We talked at the end about some specific steps you can start taking in order to reprogram your subconscious mind. Did you know that 95% of the day your subconscious mind is doing the thinking? Did you know that of that 95% of time, 70% of it are harmful, self depricating thoughts? So you can realize why so many of us are not living the lives we want to. Where does this subconscious programming come from? We didn’t even create it! We downloaded it in a hypnotic state as a child from our parents and surroundings. Bruce shares some key insight into how all this happened and what we can do about it. We hope you enjoyed the show! 🙂 Please pass it on to your friends to spread the message of hope! LivOn Labs – I’m addicted to this special lipospheric Vitamin C. I LOVE how it doesn’t mess up my stomach and it feels amazing taking it. Check it out! 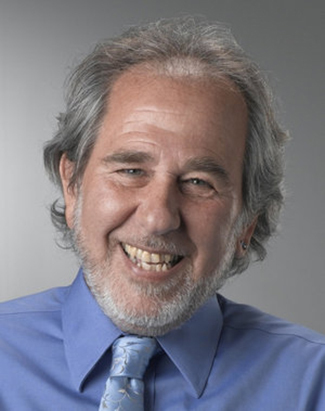 We hope you enjoyed our interview with Bruce Lipton as much as we did and if you did would you consider clicking “like” and “share” on this page to let your friends and family know about the work he is doing? Previous Post EP# 386 – David Steenblock – The Real Cause Of ALS, Stem Cells, Helping The Body Reverse Neurological Brain Disorders, Parkinson’s Disease, Alzheimer’s Disease & Much More! Next Post EP# 379 – Dr. Natasha Campbell-McBride – The Benefits Of Cholesterol, The Gut Healing Protocol, Fermented Foods, Raw Meat, Food Allergies, Listener Question & Much More!